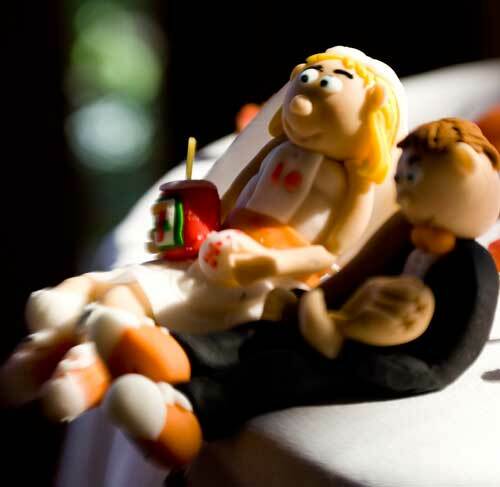 A bride and groom, two figurines, topped a wedding cake. After the wedding photographer had backed into the cake to try to get a better shot of the lucky couple, they never saw the rest of the wedding. The cake and photographer had fallen together. The bride and groom were both well-known poets and each had their own stalker who came to each of their weddings. After the cake fell, one stalker’s hand plunged through the cake after the toppers but they escaped into a closet, where they found a large shoe to live in. It was crowded in the shoe and after seven years the landlady asked them to leave. The wedding toppers found a nice cottage in a snow globe to live in. They would stand at the window of the cottage and marvel at the snow. They knew it was not real snow but that was fine with them. The snow fell on the front lawn, on the picket fence. It lay quietly on the mailbox. Not a real mailbox. Richard Garcia's recent books The Other Odyssey, from Dream Horse Press, and The Chair, from BOA, were both published in 2015. His forthcoming book, Porridge, will be published by Press 53 in March of 2016. His poems have appeared in many journals, including The Georgia Review and Spillway, and in anthologies such as The Pushcart Prize and Best American Poetry. He lives in Charleston, S.C. and is on the staff of the Antioch Low Residency MFA in Los Angeles.